One of the most common questions I receive from readers is how to check their lineage for Native American ancestry. There are a few companies now that – for a pretty penny – will search your DNA for ethnic markers and give you a sort of roadmap of percentages. I’ve had friends use these companies and haven’t heard anything negative from them, so I imagine the information they provide is legit. And there’s absolutely nothing wrong with trying to figure out your genetic heritage. I fully support that. But I wonder: For those who find they are some percent “Native American” (and let’s not forget we’re talking thousands of unique tribal nations in that vague descriptor), what will they do with that information? SUPER DUPER UPDATE 7/13/16: My post is a little more, how shall we say, friendly to the idea of DNA tests, but only because I know folks who have done them and swear by what they found. I don’t want to deny them their results. However, many people much – much! – smarter than me have totally ripped ancestry tests to shreds. Because science. For a primer on why DNA testing won’t help you determine what tribe you’re from, you MUST READ the scholar Kim Tallbear‘s tweetorial and the many publications that interviewed her on the subject. Because being Native American is more than having the genetic marker of a distant relative (royal or not). It’s more than just a box to check for racial demographics on applications and census and data tracking. It’s more than being sovereign/legal/political entities. It’s more than blood quantum and tribal citizenship. And yet for some people it’s all these things. More than all these things. Race, and particularly Native identity, is a super-complex issue layered in history, modern movements, language, culture, genocide, and so much more. For me, it’s my relatives – my tiospaye (family) – and the larger Native community I’ve committed my life to. It’s me imbued with the aspects of a spiritual being in the absence of religious belief, although I know many who combine the two with tremendous results. I was a guest on Native America Calling recently to talk about this very issue of Native identity, especially as the national conversation remains on Rachel Dolezal, the concept of being “transracial” (as opposed to multiracial? ), and the ramifications of claiming an identity that isn’t biologically yours to claim. We covered a lot of ground, and my part is recapped below (I feel like my voice was really muffled – sorry #fasttalkerihaveanxietygivemeabreak). What are your thoughts? How do YOU identify and is that identity different from the one others associate you with? Are those distinctions important? My Lakota identity is based on many foundational layers. Spirituality. This is different from religion, which is often more about loyalty to an institution and its prescribed set of rules, whereas spirituality, I think, is more of a way of life. It’s the difference between belief and being (and I think for many individuals the two can overlap). This has allowed me to explore and fully embrace many aspects of self, including Two Spirit pride and responsibility, motherhood, feminism, and so much more. Relatives and relations. My identity encompasses my connections and being an active participant “of” rather than “in” my tiospaye (family) and the Oyate (community). Work. It’s what I do for my people. To actively support and uplift. Pay for this work is nice (and necessary for survival), but better still are the messages from parents and young people I’ve impacted over the years, who remember me and who have taken what I’ve given them and have used it to give back to others. Reciprocity. Turning to my Lakota culture saved my life as a depressed and suicidal teenager. Today, being Lakota is how I impact the world around me for the better. In the U.S. there are 567 federally recognized tribes, each with their own rules of citizenship. Then there are another 400 or 500 tribes that aren’t federally recognized, but also have citizenship requirements. There are people who speak their tribal language, and those whose relatives refused to teach the language based on their own traumatic boarding school experiences. There are quarter-blood (or less) Indians born and raised on the rez immersed in their culture; and there are urban full bloods adopted out as babies who have no connection to their tribe. And let’s not forget the U.S. government’s long history of attempting to rid itself of its Indian problem. Genocide wasn’t just smallpox, or war, or concentration camps, or removing primary food sources like buffalo… Genocide was (and is) destroying records, the sterilization and murder of Native women, and defunding legal obligations like healthcare or education in tribal communities. In this vein, systemic oppression may prevent some people from accessing Native identity, and rewards a person’s proximity to whiteness. Keep in mind it was/is better (in terms of safety and success) to be white, and many Native people chose/choose to pass as white to ensure descendent survival sans hardship. The considerations above don’t even begin to touch upon the issues faced by the thousands of indigenous Turtle Island people north and south of the US border, or my Black/indigenous brothers and sisters. As one caller said on the radio show: Your relatives know who you are. For me, that’s so so true – on many levels. But for others, say the person who was adopted out of the tribe back in the mid-1900s, that’s a small piece of the puzzle, especially if they are unable to retrace their biological family ties. When it comes to identity, I think there’s “I’m Native American” and then there’s “I’m Mniconjou Lakota of the Oceti Sakowin.” I think, perhaps moreso than other racial identities, there’s a lot of work that has to go into claiming Native identity before it’s considered legit. For me, there has to be an aspect of doing good work to uplift your people, whether that’s your tiospaye (family) or the Oyate (community). There also must be recognition and understanding of Native issues, and beyond that, doing something about those issues. In discussing Rachel Dolezal, the national conversation centers on her claim to Black identity, what she calls “the Black experience” (as if being Black, or any race, can be packaged into a singular experience). I am in full support of these discussions. But no one outside of Native thinkers bats an eye at her assertion that she was born in a tipi and her family hunted with bows and arrows. In fact, Dolezal’s parents, who swore up and down that Dolezal is Caucasian without a hint of Black, noted that, in fact, one or two great-grandparents were Native. “The lack of questioning of that born-in-a-tipi story, however, points to the need for children’s books and media that accurately portray our lives in the past and the present so that people don’t put forth stories like the one Dolezar did, and so that that those who hear that kind of thing question such stories. Native identity is often based on visual stereotypes by outsiders, and even within our own Native circles we’re held to standards of stoicism, oneness with nature, brown skin (not “too” dark or too white, though), long hair, casinos, headdresses, turquoise bling, yadda yadda. When someone walks in sporting these cultural cues (say, Iron Eyes Cody aka the Crying Environmentalist Indian or Ward Churchill) it’s easy to dupe the masses because no one fact checks a stereotype. The point here is two-fold: First, everyone and their mother (Native and non-Native alike) wants to give input on who or what a Native person is – who they can and can’t be, whether that identity is a stereotype of government policy (blood quantum), academia (anthropological history), Hollywood (wild West), sports (mascots), or fashion (cultural appropriation) AND WE WILL BE HONORED, DAMMIT! For many of us, we’ve fought tooth and nail to hold onto our Native identity in the face of oppression. So woe unto the person who gains some kind of notoriety after claiming to be Native without also providing indisputable tangible proof. Just ask Ellie Reynolds, a conservative lapdog who was outed as a non-member with no lineage by the Oglala Sioux tribal government back in May after using her “Oglala Sioux Native American” background as a platform to speak in support of the use of Indian mascots. Or ask Elizabeth Warren. Or Andrea Smith (after reading that link, make sure to read this one AND this one). The Pew Research Center recently published a study showing half of all US adults claiming a multiracial identity say they are mixed white and American Indian. OK, number-wise, that’s huge. Of an estimated 17 million adults who are multiracial, 50 percent (8.5 million people, folks) are claiming – to some extent – to be Native. In contrast, Black and American Indian adults make up 12 percent of the multiracial population; white and Black ancestry make up 11 percent. I mean… Natives must have been getting it on with EVERYBODY for this to even remotely make sense, because of the total US population, about 2.6 million people identified as American Indian/Alaska Native alone, according to 2013 Census estimates. Though there are obvious holes in the study (how do organizations like the US Census Bureau verify Native identity? Because as Natives we are held to standards of proof – called blood quantum – no other race is subjected to), Pew tried to breakdown the impact of a multiracial identity. For example, the study found that 61 percent of those claiming white-Native ancestry say they have a lot in common with whites, compared to just 22 percent who say that they have a lot in common with other Natives. Eighty-one percent say they feel closer to their white relatives than their Native relatives, and 88 percent said strangers see them as white. For me, these numbers are super-telling. The folks leaning toward their white selves are undoubtedly box checkers. These are the folks who spout their the family fairytale of NDN royalty as bona fides (“my great-great grandmother was an Indian princess!”) without having to experience any oppression, without having to do any kind of work within Native communities. These people are harmful. Being Native is more than just a box to check. Being Native is about more than race. It’s a legal and political designation because we are inherently sovereign entities with our own systems of governing in place, with land and citizenship designations and treaties. More than that, however, is that when we check that box, we take on sociocultural obligations and responsibilities. Like any country, Native tribes have the authority to establish citizenship requirements (this is one of those “for better or worse” type deals, and can cause a lot of pain and heartache among legit Native identities). I’m told I have Irish and French ancestry, but I can’t (and don’t) go around claiming citizenship of those countries, nor do I identify with the citizenry. Regarding citizenship, Native nations are not all-inclusive communities (invasions, genocide, and colonization have really turned us off to open immigration, I think); there is no naturalization ceremony available to those who would like to join our societies. While membership requirements vary from tribe to tribe, many nations employ some kind of blood quantum measurement tool to determine an individual’s degree of Indian blood. Considering the sheer number of multiracial folks out there, things start to get really complex here. For example, let’s say XYZ Tribe grants matrilineal citizenship only (as some tribes do). A female XYZ tribal member has a son, who is granted citizenship, but if that son grows into an adult who marries a non-tribal member, their offspring cannot claim citizenship with XYZ Tribe (although they can prove lineage). From MPR News: In “Family Portrait,” Maggie Thompson deals with the highly problematic matter of “blood quantum,” a method by which tribes, and the federal government, determine “how Indian” a person is, and what benefits they can access. Let’s be clear here, though. 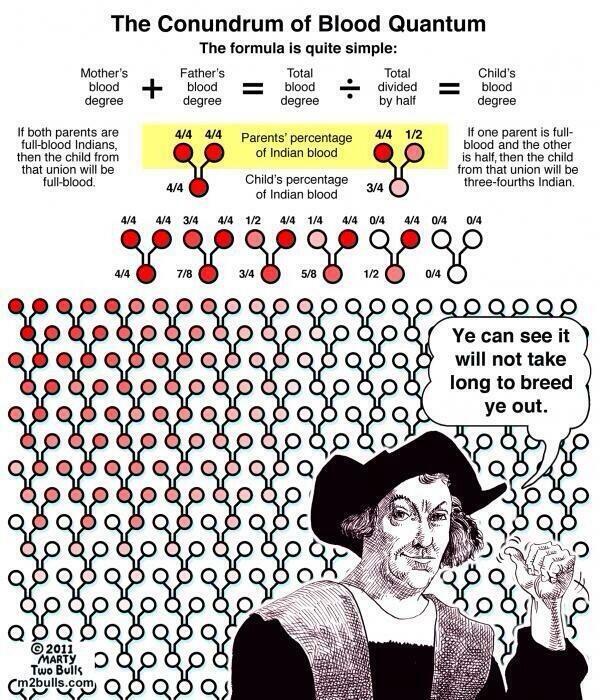 Measuring blood quantum is a tool of colonization and not at all a traditional aspect of Native identity. The US government is legally obligated – through “exchange” of land and resources – to provide benefits in the form of healthcare, education, and housing (among other things) to federally recognized tribes. Convenient, then, that the federal government can determine which tribes to federally recognize, and that blood quantum does nothing but ensure an eventual bleed-out of the Native race. A quick point about race: Yes, race is a social construct. It should have no bearing on how we interact with one another as humans. And yet race totally impacts everyone who isn’t white, whether we know it or not. Here’s a video one of my favorite white people, Melissa Fabello (she’s an editor with Everyday Feminism, which I write for), breaking it down for folks who claim they don’t see race. The thing to keep in mind is that race is a major factor in determining who holds the power in our society. As I mentioned earlier, being white or being perceived as white (even if you swear up and down – as Dolezal does – to be living a POC existence) gives you great power and privilege (like, you can rest easy knowing you’re a million times less likely to be shot and killed by police more likely to achieve higher education/gainful employment, and have access to better healthcare). As someone who often passes as white, I can attest to this. Natives attack ethnic fraud with fervor for legitimate reasons. For one thing (as evidenced by those multiracial numbers), it happens a lot – like, all the time. 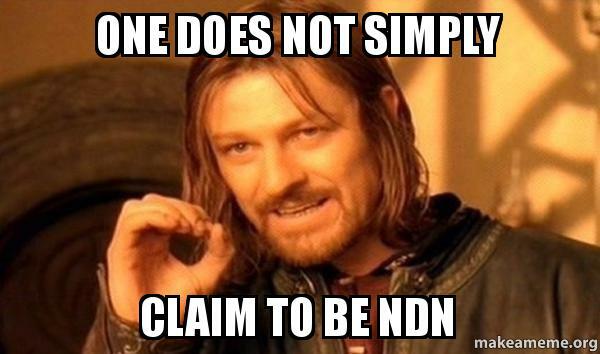 The media frenzy that surrounds someone claiming a false Black identity is nonexistent when (even the same) someone claims to be Native without legitimate documentation to back it up. Unless our cultural bi-products are making someone a ton money, Native Americans and our issues take a backseat to everyone else. At least part of this is due – ironically – to the fact that we have such a small voice, population-wise, to demand fair coverage. Where all the multiracial peeps at??? Pretendians cause harm in that their shenanigans will eventually take the focus off important Native issues. Instead of discussing cultural appropriation, violence against women, environmental sustainability, or youth suicides (or a host of other real concerns), the conversation gets caught up in fake tans, wigs, information ownership, money, and other sensationally meaningless dribble. In addition, ethnic frauds take away opportunities from legit Native people. That academic post? That job? That conference keynote? That college entrance slot? Someone who deserved it more – in a fair and equitable sense – didn’t get it because of someone like Ward Churchill, Elizabeth Warren, Rachel Dolezal, and Andrea Smith. And the thing is, all these folks could have done super-powerful ally work just being their awesome white selves. Remember that power and privilege? There’s a good reason for things like affirmative action and demographic tracking to ensure equitable opportunity for everyone, not just the privileged few. Bootstraps are only good if you can afford boots, and useful only if someone else isn’t stepping on them (MLK Jr.). You’re Native? Back it up. If you say you are Indigenous, you should be able to identify who your nation/tribe/band is (Cherokee, Tlingit, etc.) and who your family/clan is (by name). This identifies you within a set of relationships but also within a set of responsibilities to/within the nation/tribe/band you claim. These responsibilities are political, ceremonial, and social. If you cannot identify your nation/group/tribe/band, then you should have a transparent explanation (adoption, for instance). Because of the histories of misrepresentation of Indigeneity in territorial dispossession and violence, there are deep ethical responsibilities in identifying oneself as Indigenous. When someone says they wish to be Native or they really feel a kinship to Natives because they’re super-spiritual and nature-focused and whatnot, this is how I interpret these statements: Stereotypes blind people – and these same people who love to love Natives refuse to do any work to actively dismantle the systems of oppression that keep our kids and relatives on the bottom of every single health, wealth, and education statistic. You love Natives and Native culture? Tell me: What were the last three bills you called on your local or state government officials to support or oppose regarding Native issues? 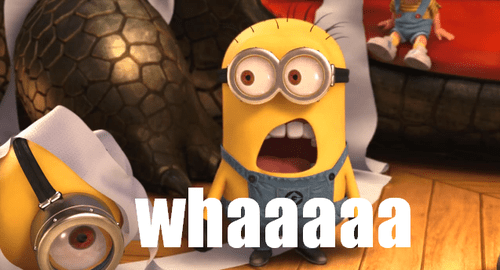 Oh, you donate clothes to your church and they’re shipped to some random reservation? Tell me again how your stinky old shoes stopped a kid from committing suicide. 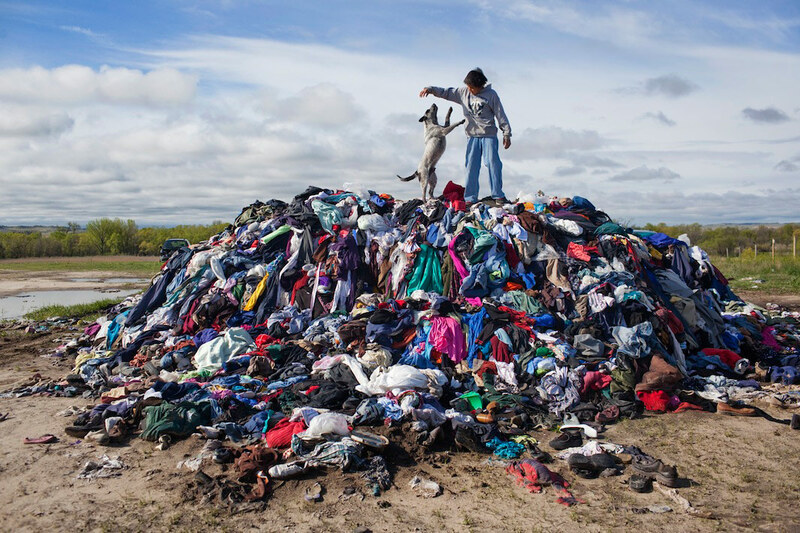 I’m not a fan of Aaron Huey, the (talented if purposefully misguided) photographer who took this image of a pile of wasted and molding clothes donations on the Pine Ridge Indian Reservation. However, it’s a good visualization of the kind of disconnect existing between white saviors and the good they think they’re doing (when they’re really not doing anything). For those folks who insist they’re Native somewhere in their bloodline: Okay. Fine. But you best prepare for major side eye action when you can’t name a Native issue you actively support and advocate for, or say you haven’t looked into your tribal history, language, or culture, or all that can be said about your Native heritage is you’re just really proud. Being descended from Native Americans and claiming Native identity are two different things. The latter comes with not a little baggage and a host of responsibilities to others. I know lots of white folks who identify as white who think or know they have Native heritage in their background, but because they aren’t connected to the culture, they don’t claim that identity. I find these folks are often our greatest allies in advocacy work, since they can attest to the importance of keeping traditions and cultures alive within families and respected beyond entertainment stereotypes. Before claiming Indian, I suggest taking a strong look inward to decide whether that identity is based on a need to uplift the community or a need to uplift yourself. The latter is a fundamental aspect of Western civilization; the former works actively against oppressive systems. 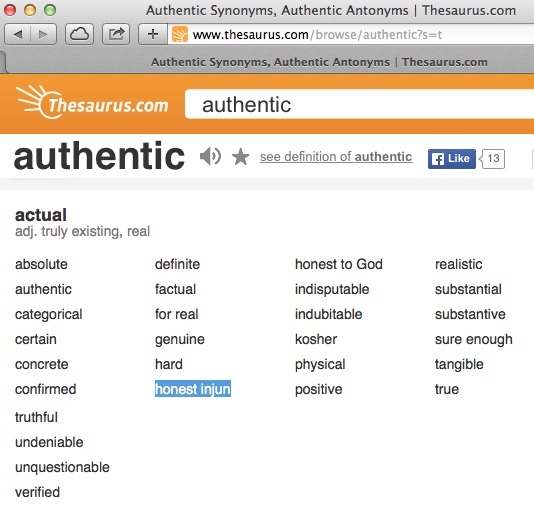 I don’t have the heart to check the listing for “casino” or “alcoholic.” I have written to Thesaurus.com to demand they remove the insulting and racist term from their site. No response yet. Again: NO ONE BATS AND EYE when it comes to pervasive and harmful Native stereotypes.